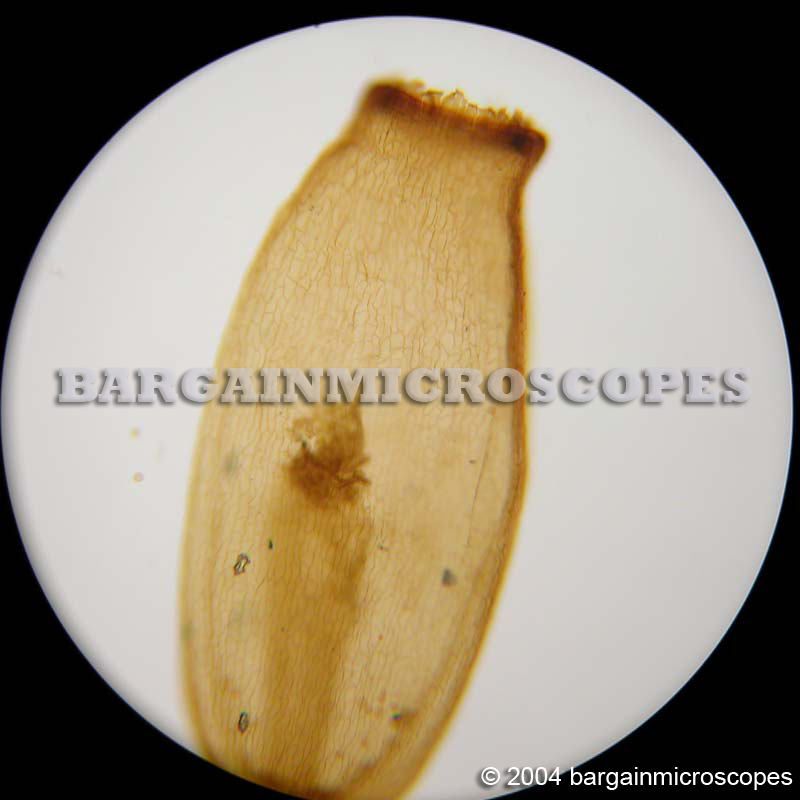 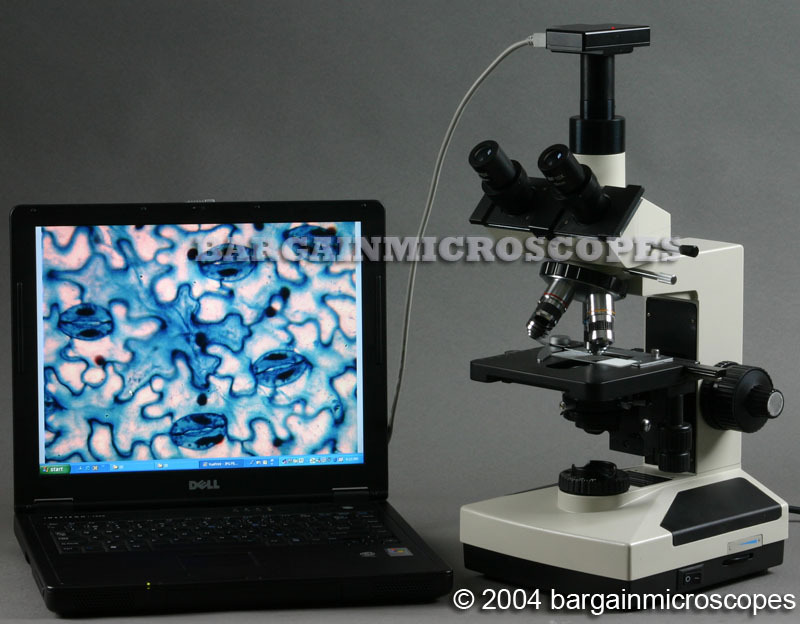 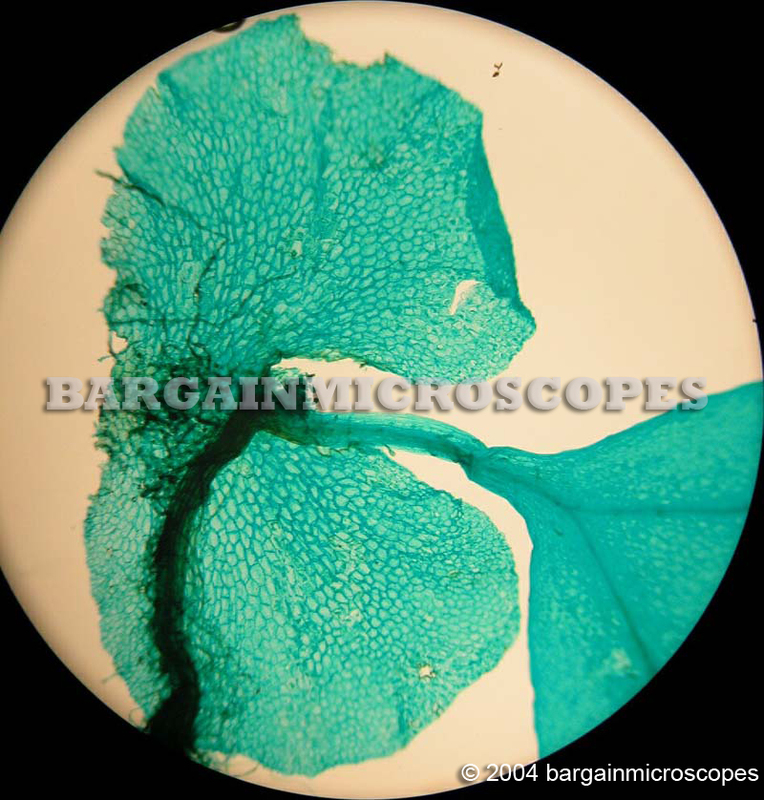 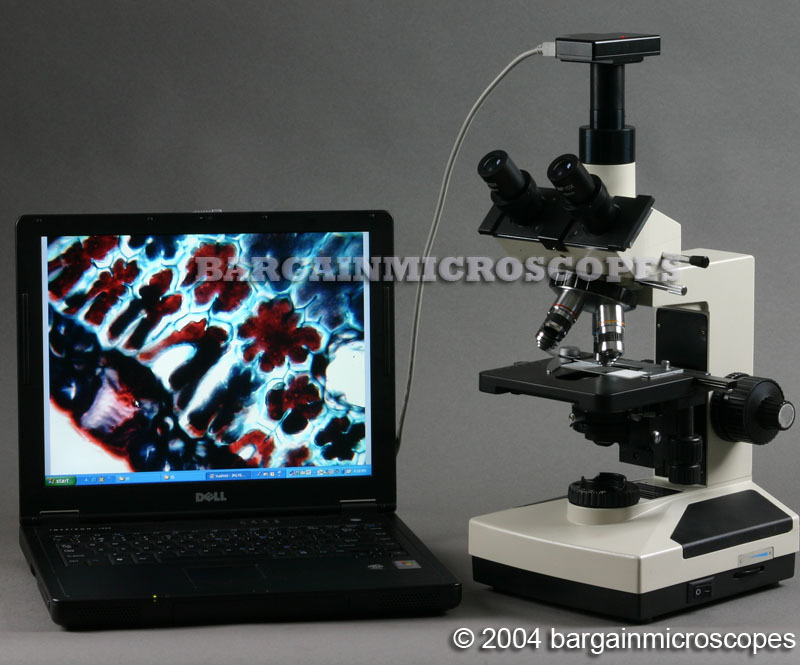 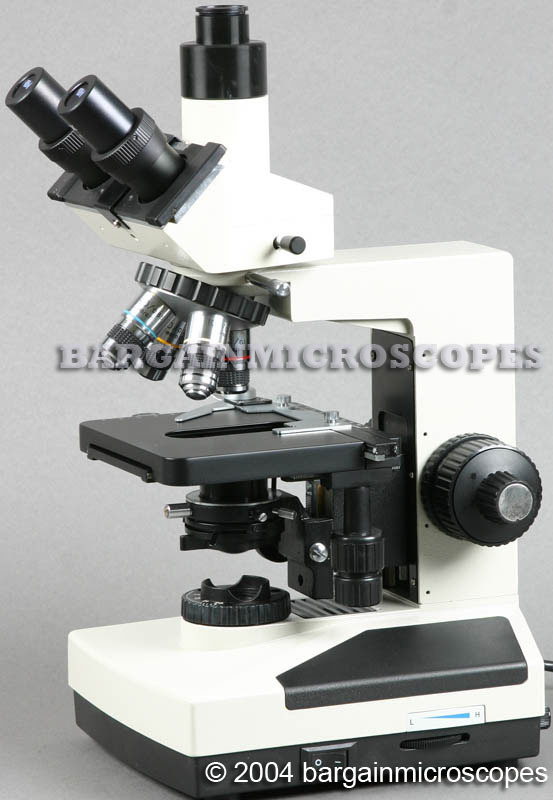 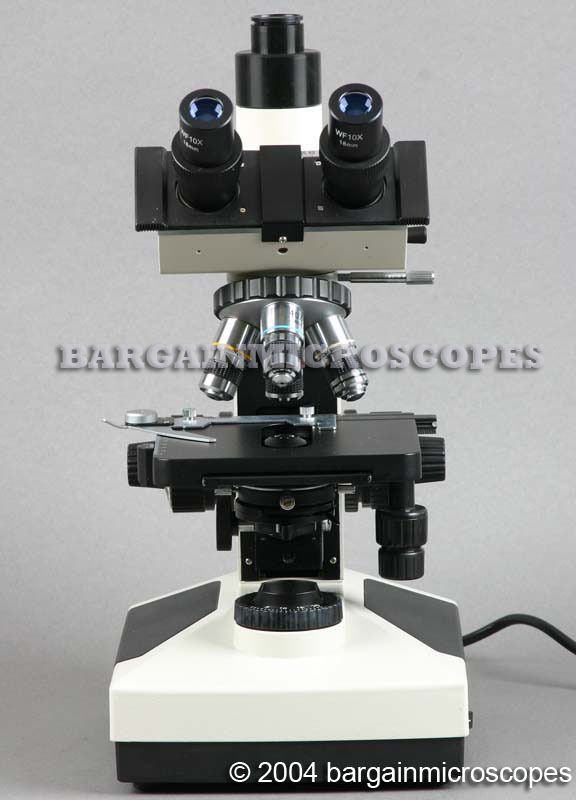 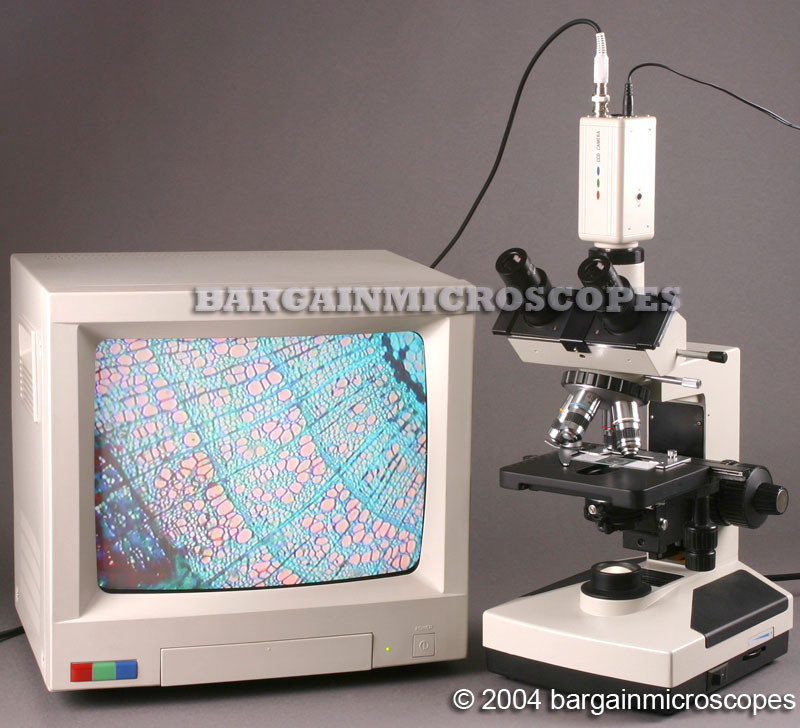 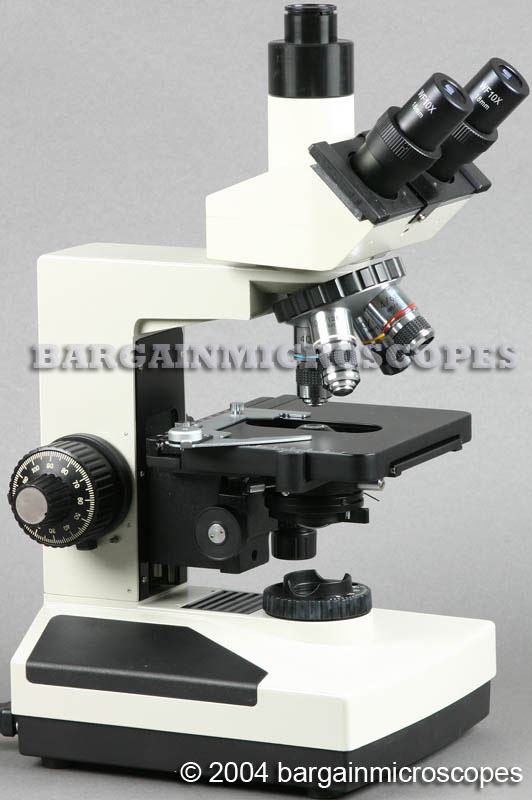 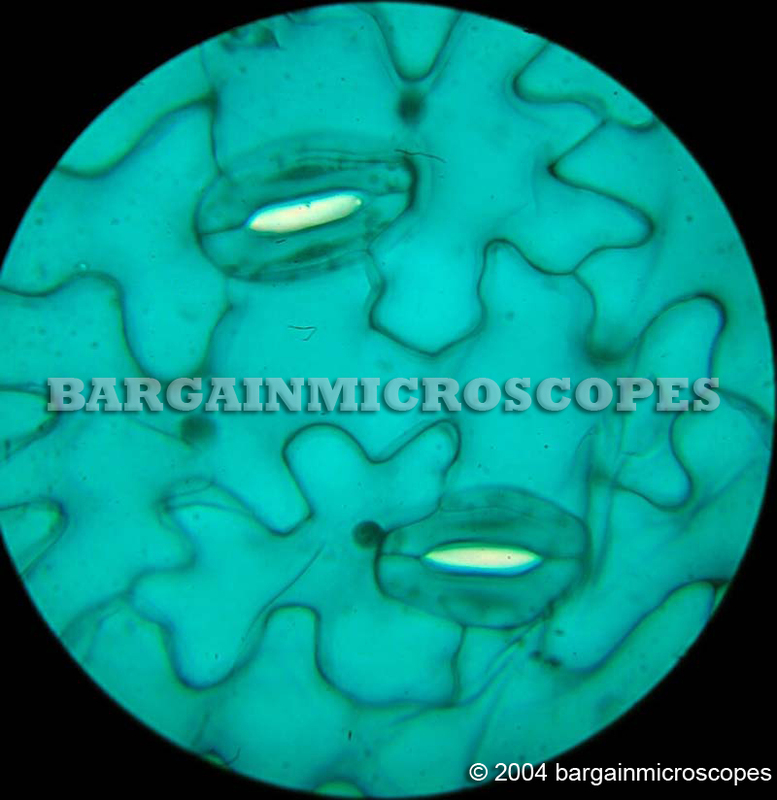 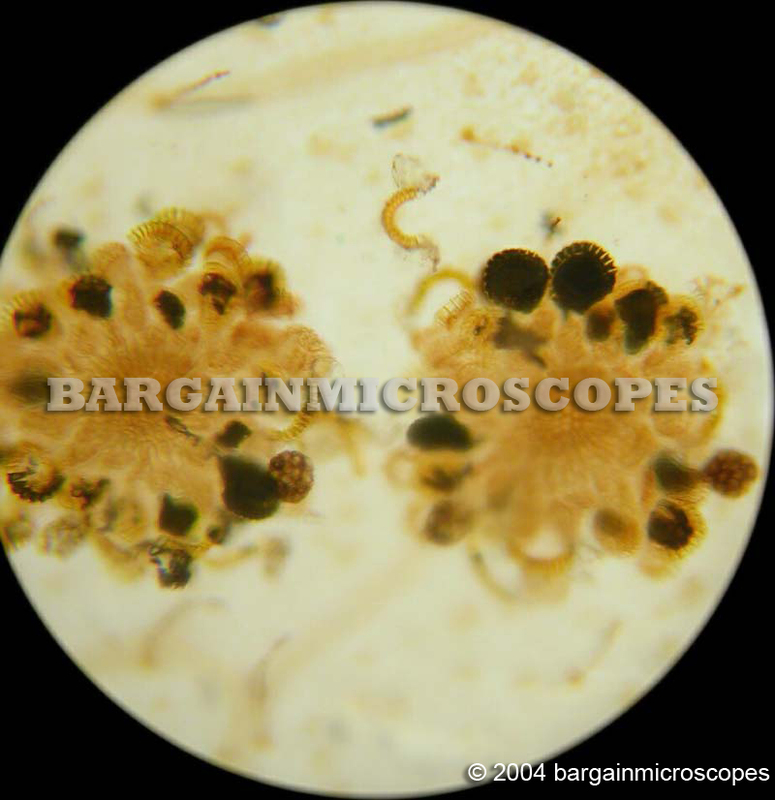 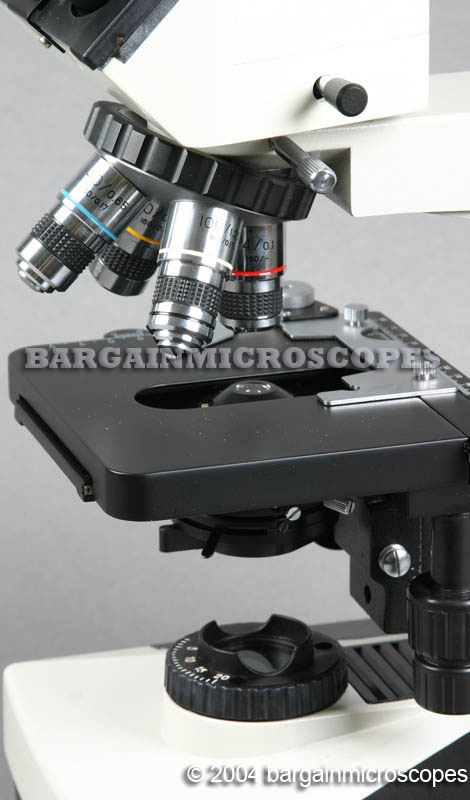 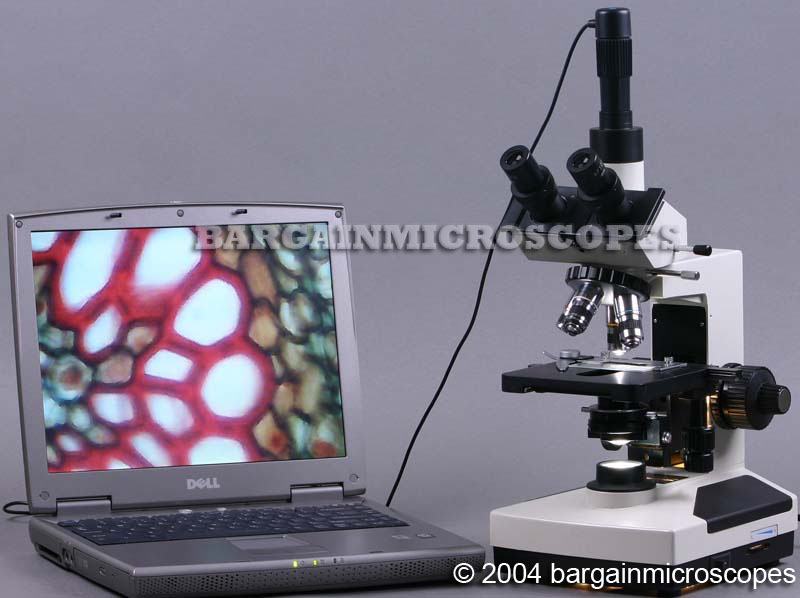 Great Quality Compound Biological Trinocular Microscope. 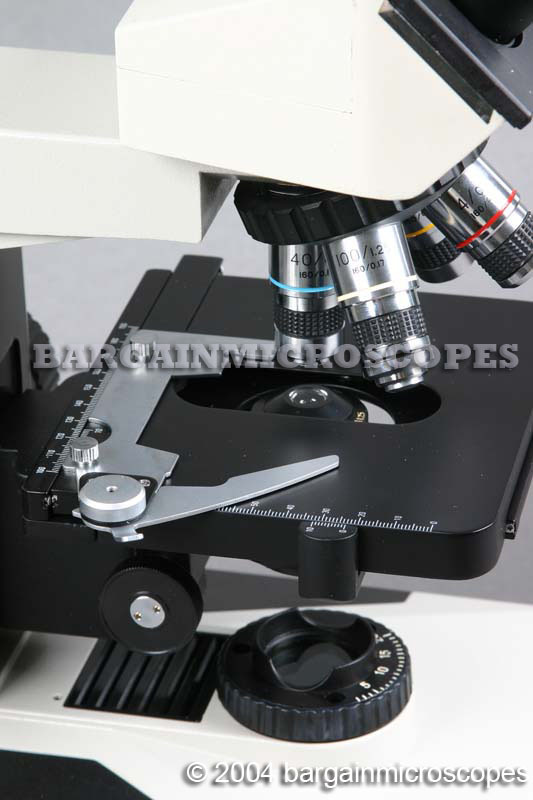 Transmitted Base Illumination: 20W, Variable Intensity, Tungsten Halogen Bulb. 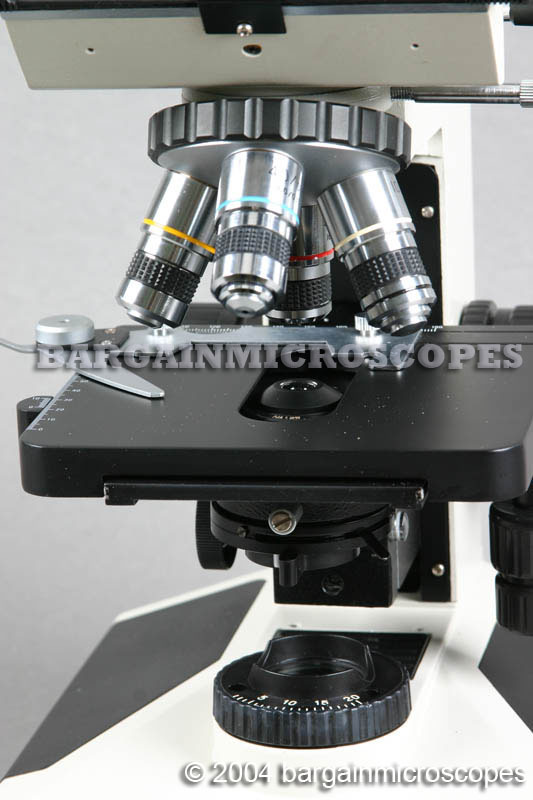 Microscope Set Includes: dust cover, instructions, immersion oil for using on the 100x oil immersion objective lens, spare fuse and spare halogen bulb. 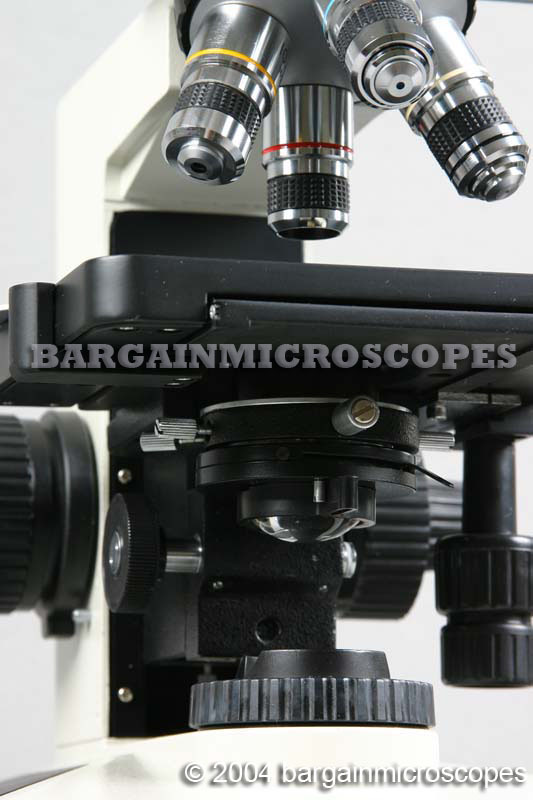 Includes c-mount for attaching ccd video camera and includes phototube (standard 23mm ID) for attaching various microphotography equipment.